Last Sunday evening 9th September, Revd. David Moses was ordained as a Prebyter in the Church of Ireland by Rt. Revd. Ferran Glenfield, the Bishop of Kilmore, Elphin and Ardagh in St Fethlimidh’s Cathedral, Kilmore. Rev. 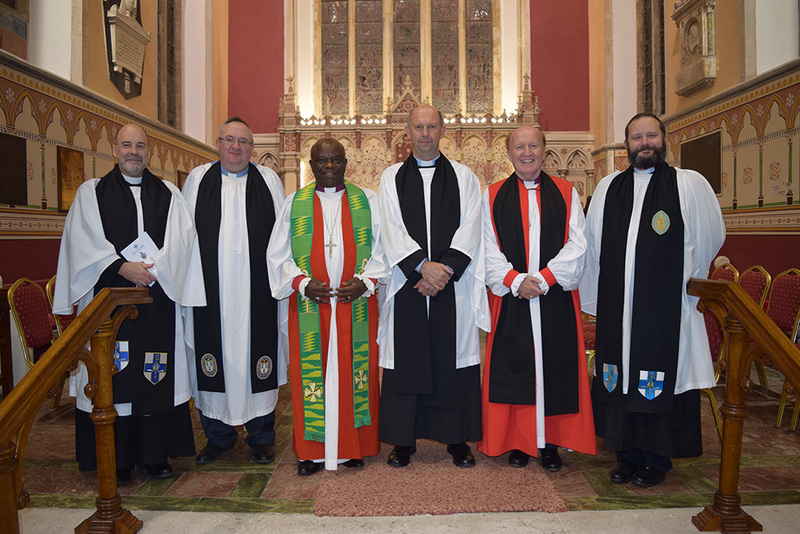 David Moses has been appointed as Bishops Curate to the Drumgoon Group of Parishes (Cootehill, Ashfeld, Dernakesh and Killesherdoney). He is married to Catherine and they have three grown up children; Sarah, Rachel and Jonathan. In the past year David has been Deacon Intern in the parish group of Monaghan, Tydavnet and Kilmore, working with the rector, Canon Ian Berry. Before beginning his training for ordained ministry he was a sheep and pig farmer. He also served as a Diocesan Lay Reader in Armagh Diocese for 27 years. 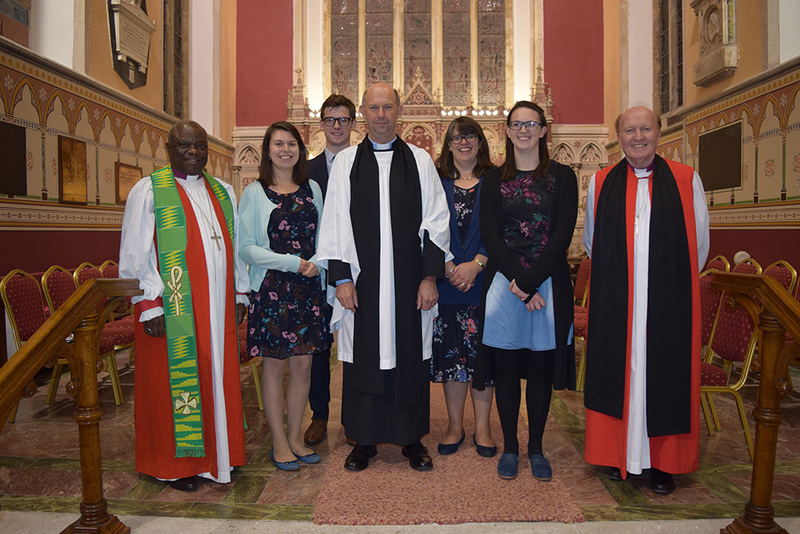 During the service, readings were given by Sarah Cathers (Armagh Diocesan Reader), Muriel Treacy (Parish Reader from the Monaghan Group) and Audrey Reilly (Kilmore Diocesan Reader from the Drumgoon Group) representing the churches that have supported Rev. David on his journey to ordained ministry. Archbishop Masimango Katanda, Primate of the Anglican Church of the Congo was also in attendance. Canon Ian Berry gave the Address at the service of Ordination. In his sermon he encouraged the congregation with a phrase which has struck him from Acts 27 vs 23 – the God to whom I belong and serve’. He spoke of how these wonderful and challenging words speak of the Christian’s closeness to God, they way in which God is at work in the lives of Christians and of the purpose that God has for his people. A service of welcome will take place for Rev. David Moses on Friday 15th September at 7:30pm in Drumgoon (Cootehill) Church of Ireland. We pray that the Lord blesses Revd. David and their families as he begins his new role in the Diocese. Revd. David with his wife Catherine and three children, together with Archbishop Masimanga Katanda and Bishop Ferran Glenfield.